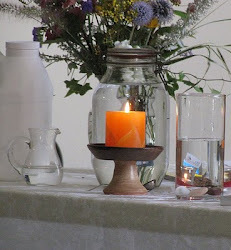 UU A Way Of Life: Would you have inner peace and unconditional love? Purifications are necessary first. Would you have inner peace and unconditional love? Purifications are necessary first. As we consider the third principle of Unitarian Universalism, "acceptance of another and encouragement to spiritual growth in our congregations" one might eventually be drawn to the role that sacrifice, purification, and abnegation of one's bodily and egotistical concerns play if a soul is to advance toward what the Perennial philosophy calls the "unitive Godhead." Unitarian Universalists are not known for their ascetic practices or sacrifice as other religions and denominations are. UU does not have a history or requirement for fasting, praying a certain number of times per day, praying on the knees or bowing on a prayer rug, the giving up of certain foods at certain times, etc. Also there is no tradition of confession, penance, making of amends, etc. There seems to be no recognition in the Unitarian Universalist tradition, some call it a movement, of the need to overcome the drama of the ego so that a practitioner of the faith can shift his/her perception and functioning to the spiritual realm and develop a consciousness of the holy. And yet, most mature UUs would probably agree that there is a need for self discipline, self control, sacrifice, and that feeling good and doing good are not necessarily the same thing. If overcoming drama on the ego plane is something that needs to be mastered if one is to grow spiritually how does a UU facilitate this kind of spiritual growth in oneself and others? 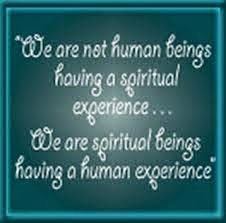 Peace Pilgrim has written, "Then I discovered that there were some purifications required of me. The first one is such a simple thing: it is purification of the body." She then mentions the second purification as the purification of thought, and the third, the purification of desire, and the fourth and last, the purification of motive. Peace Pilgrim then goes on and describes as "the relinquishments." The first is self-will, the second is the feeling of separateness, the third is all attachments, and the last, negative feelings. There seems to be very few institutionalized practices that are part of the UU tradition, although some UUs draw from the practices of its six sources, that help us with these purifications and relinquishments. The biggest institutionalized practice in most congregations is the annual pledge drive and other social justice activities which may call for some sacrifice. These are good things to do, but to what extent do they contribute to spiritual growth and as Peace Pilgrim counsels how pure is the motive? To be frank, Unitarian Universalism doesn't ask much of its adherents and so the reputation, perhaps unfair, is that anything goes and nothing is required but to just "sign the book." Perhaps it is in this fawning acceptance to acquire members that we overlook what might be required for spiritual growth in our congregations. Unitarian Universalism, well lived, is not an easy faith to engage in. Well lived, it requires tremendous effort, courage, bravery, sacrifice, patience, compassion, and forgiveness. These are not easy virtues to cultivate, practice, and develop. The seven principles, as has become apparent in this series of examinations, are deep, counter-cultural, and well practiced, puts one at odds with the conventional culture. And yet, well practiced Unitarian Universalism is a vehicle for spiritual growth which brings its members and congregations to inner peace and unconditional Love. UU is big on purification and relinquishment, at least not like other religions. It's hard to beat being crucified on a cross. Ascetic practices were thought to bring one closer to god but masochistic self injury in misguided. In this day and age though, you have to wonder with the abandonment of these practices why cutting has become so popular with young teens. There seems to be some need for self-punishment and even mutilation that relieves stress. What used to be considered religiously admired now is considered pathological requiring mental health treatment. Unfortunately, we live in a society which glories celebrities and pretty people. Kids don't know who to be like. Paris Hilton? God help us. When they can't they feel bad about themselves and take it out with cutting, piercing, tatoos and other bizarre disfigurements. The purification practices would probably help them channel some of their self loathing into a more constructive channel.